Coming February 10 and March 22, 2019. Known for being one of the first in the country to offer female focused skiing and riding camps, Stratton Mountain is the place to be. The Women On snoW (WOW) Camp is geared towards all ability levels and brings together like-minded women in a supportive and fun environment with elite guest coaches and Stratton’s top women instructors. Enjoy 2,003 feet of vertical drop from its summit elevation of 3,875 feet, 97 trails, 11 lifts, and 670 skiable acres of varied terrain at this southern Vermont resort. 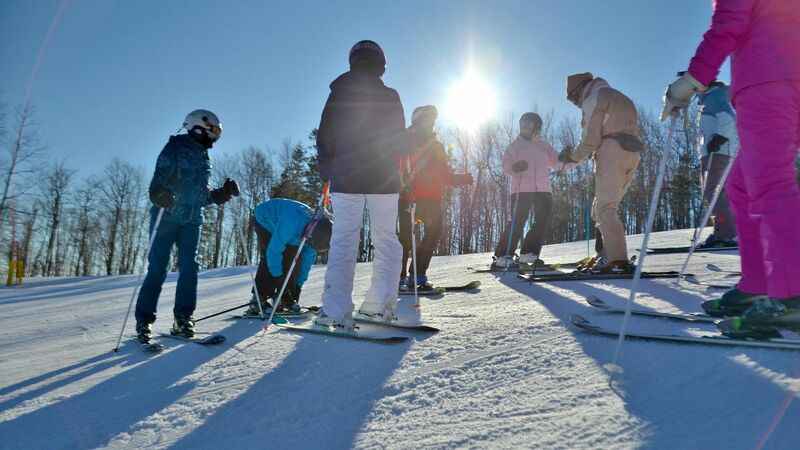 The WOW Camp includes an opening reception, the option of two or three full days of on-snow instruction, demos from First Run Ski Shop, and access into Stratton’s Training & Fitness Center. Gather your TrailblazerGirl-friends and sign up now for the Women On snoW Camp to be “wow-ed”!